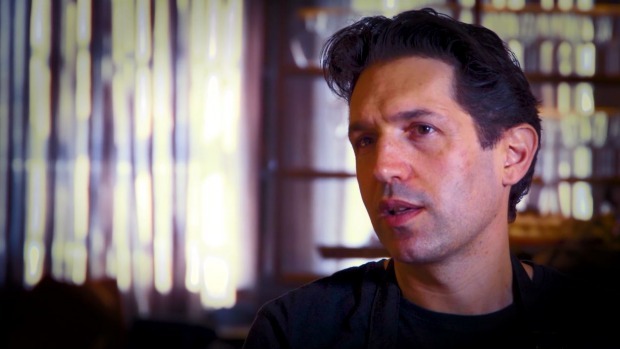 Attica chef Ben Shewry talks about his passion and vision for the future of food. Video brought to you by Citi. 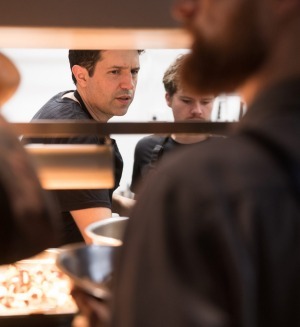 The old adage that a chef is only as good as his ingredients takes on an extra layer of meaning when it comes to Ben Shewry. The chef, whose restaurant Attica was recently honoured as Vittoria Coffee Restaurant of the Year at the annual Good Food Guide awards, is famous for the personal way he approaches his work – true believers whisper about the presence of emotion in his cooking, and the way his passion is palpable in the taste of Attica's food. That approach extends to the manner in which Shewry chooses his ingredients and the people who produce them. In many cases, deep personal relationships have grown between the chef and his providores. In much the same way that we taste the deep intent in his cooking, Shewry believes he can taste the producers' passion in these products. "If the producer is not a good person, it doesn't taste good to me," he says. "I can't work with arrogance." Ranging from long-time suppliers to new collaborators, we spoke to Shewry and four of his providores, to learn the stories of the folks behind the dishes than many consider the best in Australia. Gary McBean is a fourth-generation butcher, a long-time Attica supplier, and one of Shewry's closest friends. "If you wanted to sum up Gary in a short sentence it would be: one of the top 10 humans in the world," Shewry says. "I'm blessed to have him as a close friend and a supplier." When Shewry first sought out Gary's Quality Meats at the Prahran Market (after a tip from Matt Preston), he says he quickly decided, "yeah, this is who I want to be giving my money to". McBean started working at the market alongside his father, who was also a butcher, when he was about eight years old. By the time he was 14, his Dad had moved to a shop in Richmond, and McBean left school to apprentice with him. In the early '80s, his father returned to the market with his own stall, and a couple of years later McBean moved into the stall next door. Eventually his Dad sold his and came to work for McBean. If the producer is not a good person, it doesn't taste good. Gary's Quality Meats was a pioneer in Australia in the movement towards dry ageing beef, and McBean built a special purpose room behind the counter where customers can see the process. McBean has four children, and all of them grew up working in the butcher's shop. 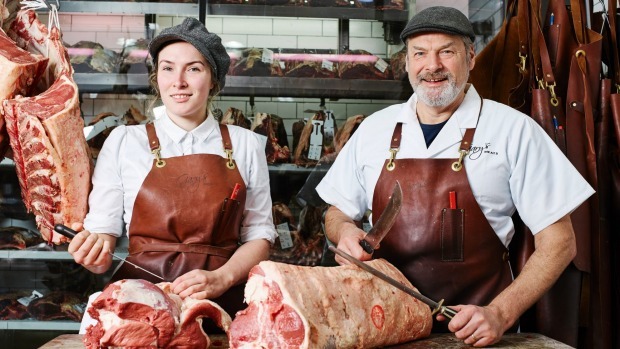 But it's his youngest daughter Ashley who has found a true passion for butchery, and is likely to carry on the family business. At 23, she's in her second year of formal apprenticeship at the shop, and represents a new generation of butchers who are focused on quality and personal relationships, but also sustainability. During a meal at Attica, Shewry is likely to mention McBean to customers as he brings food to the table. One of the restaurant's offerings that has become iconic is a tiny pie, named Gazza's Vegemite Pie as an ode to the butcher who provides the melting lamb at the heart of the dish. "I get lots of customers who come to the butcher counter and say, 'I had your pie at Attica!' " McBean says. "I'm so appreciative that Ben cares enough to mention us by name. It's just amazing." Laura Egan was floored when she got a call from Ben Shewry. 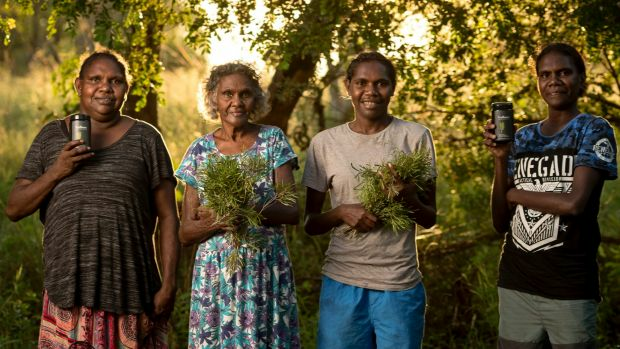 As chief executive of Enterprise Learning Project, she had been working with the Minyerri people of Alawa county in the Northern Territory for years, helping them to build an enterprise model for their community. As part of the process, they sent out letters and samples to various businesses that might be interested in selling Gulbarn Tea, made from a plant the Minyerri people have been using as bush medicine for thousands of years. Shewry responded. When Enterprise Learning Project was first working with the Minyerri, Egan encouraged the community to think about an arts-based enterprise. "Part of the process we go through is to ask what's special and unique, what do they feel passionate about?" Egan says. "One day we were driving around, and one of the women jumped out of the car and grabbed a handful of gulbarn leaves. She was so excited to show it to me." Egan was told she could brew the gulbarn, which only grows in this small pocket of the NT, and drink it as tea or use it in the bath. "I took it home and couldn't believe how wonderful it was," Egan says. The next day she called and asked, "Have you ever considered going into the tea business?" In the years since, Enterprise Learning Project at the Minyerri have had gulbarn tested at the University of Queensland, and found that it has many of the same antioxidant qualities as green tea. Shewry plans to visit Alawa county later this year. "It's important to me to make a proper connection," he says. Egan says that excitement on Shewry's part is a gift. "To be able to go back and tell them, 'the top chef, the best restaurant in Australia…not only does he want to serve the tea but he wants to come visit you. For us, it's all about extending the Minyerri culture. It's really exciting that we can potentially be a conduit for that." Shewry almost didn't meet Lance Wiffen. On the day he was supposed to go out to Sea Bounty, the mussel operation that Wiffen runs in Port Phillip Bay, Shewry was having a rough day. "I was at the lowest of the low. I just didn't want to get out of bed." He roused himself only because the coworker accompanying him was taking a day out of a family holiday to make the trip. Shewry had spent the months before tasting the wares of every mussel supplier he could find. "One of them was just a shining example," he says. So he arranged to visit Sea Bounty. And he sees the fact that he made it out of bed that day as something of a cosmic intervention. "Lance talks in an incredibly honest way, about the troubles he'd been through, about his business and his life," Shewry says. "It really helped me out of the hole that I was in. It kind of changed my life. We've been great mates ever since." But it wasn't just the personal connection that made Shewry passionate. "He pulled some mussels up onto the boat – I don't think he'd ever had a chef on the boat before – and when I tasted it, I just said, 'oh, my god! This is the best mussel I've ever had!' 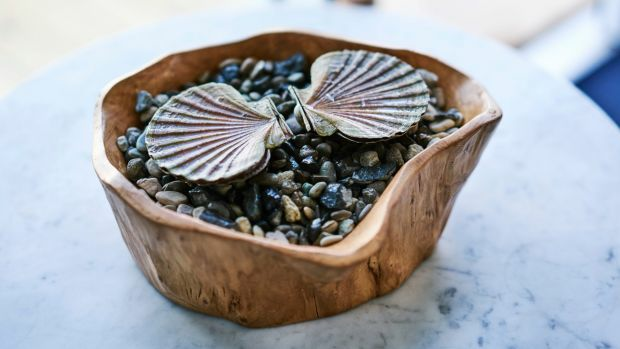 "
Wiffen comes from a dairy farming family, and when he began farming mussels and scallops in the mid-'80s, he thought it was going to be a temporary thing. "My dad said to me at the time, 'It's a bit risky, you know. Once you start farming, you'll always be a farmer.' I told him: 'Not me!' But here I still am." "[Ben's] interest level gave me a different appreciation of my own product," Wiffen says. Shewry's visit was the first time he'd heard such enthusiastic appreciation for his seafood. And Wiffen sees that appreciation slowly creep into the broader population. "Mussels used to be the poor fish in the marketplace," he says. "But people are starting to appreciate the green nature of our operation, they're thinking about it differently. Ben has helped with that. I used to have to shout about these things, but people believe me now." Attica has always baked its own bread. But when a new bakery showed up in the neighbourhood, Shewry knew he wanted to find a way to work with it. 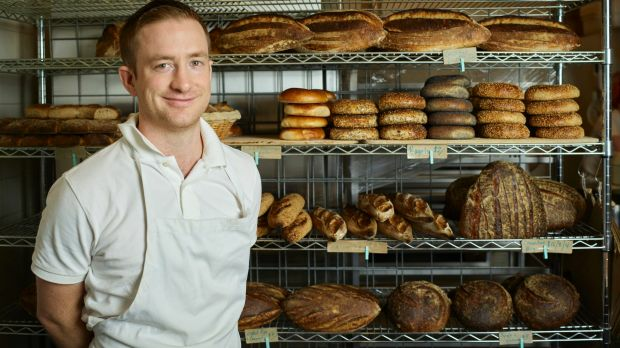 "I think Mike is the future of baking in Australia," he says. Mike is Mike Russell, who, with his wife Mia Russell, opened Baker Bleu 10 months ago in Elsternwick. Originally from Sydney, Russell had worked with some of the most well-known bakers and restaurants in the country (Iggy's Bread, Rockpool), but when the time came to open his own place, Melbourne seemed like a better bet. "Melbourne still has all these neighbourhoods with their own little high streets," he says. "We really wanted that feel." They chose Elsternwick because of its strong European and Jewish roots, and started off making only bagels and one style of sourdough bread. They had no sign, and if all the bread hadn't sold by mid-afternoon, they'd walk around the neighbourhood giving it away. The Russells make the dough for each batch of bread and bagels, then let it sit overnight to ferment. They bake early in the morning. "The bread is still warm when you get here," Russell says. Shewry stumbled onto the bakery just like everyone else in the neighbourhood. "Ben lives around the corner and he came in one day," Russell says. "We got talking. Attica had just been refurbished and he invited us to come down and have a look. He's got so much experience, and he's given us a lot of good advice." Even though the restaurant has in-house bread, Shewry has found a way to bring Baker Bleu into the Attica family. The two worked together on a neighbourhood collaborative dish that involves a butcher, baker, fine artist, a leather artist, a rock band, and a brewer, and which debuted at the restaurant on Saturday. "I think Mike is a generational talent," Shewry says. "When you find someone like that, you just want to tell everyone." Ben Shewry is taking part in this year's Spring Racing Carnival with fellow Lexus ambassador Neil Perry in the Lexus Design Pavilion in Flemington's birdcage enclosure. Shewry has curated a selection of providores to showcase their produce to 700 guests of the Lexus Pavilion across Derby, Cup and Oaks Day. 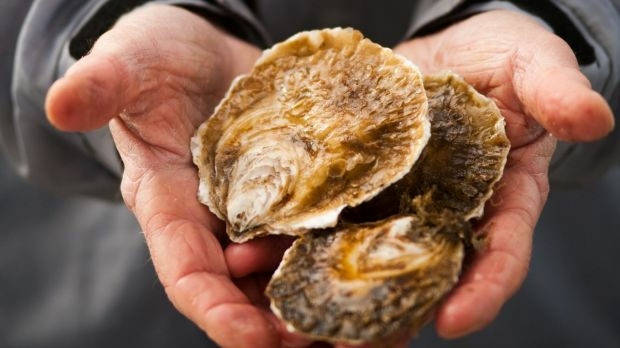 These providores include Baker Bleu, Gary's Quality Meats, Australia's Oyster Coast, Kinkawooka, Field Barns & Co Butter, Holy Goat Cheese, Ceas Spanner Crabs and commercial fisherman Bruce Collis. Neil Perry has put forward his head chef Zac Nicholson, of Rockpool Bar & Grill Melbourne to execute the menu and lead the 44-seater restaurant. Guests will be served three courses supplied by each of the providores and finished with Rockpool's signature Italian Mascarpone dessert. Sweets by Caroline Khoo of Nectar & Stone will be available from a dessert bar located on level one of the Pavilion.